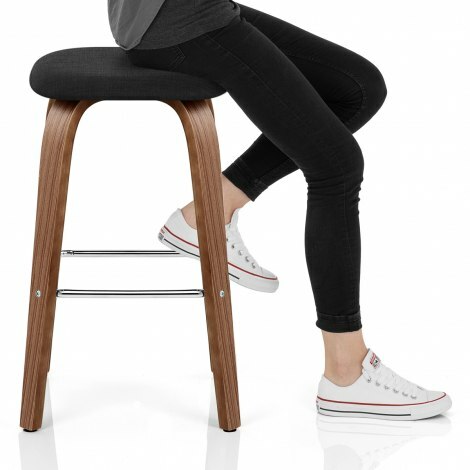 Embrace the Scandi style of the fabulous Stockholm Bar Stool Black, a compact contemporary item full of charisma. Truly alluring, incredibly versatile, and the epitome of Scandinavian design, the Stockholm is bound to be popular with you and your guests. Standing at the ideal height to accompany most domestic kitchen islands and breakfast bars, it is a super stylish addition to any space. The simple square seat pad is cushioned for comfort, and covered in classic black fabric upholstery. 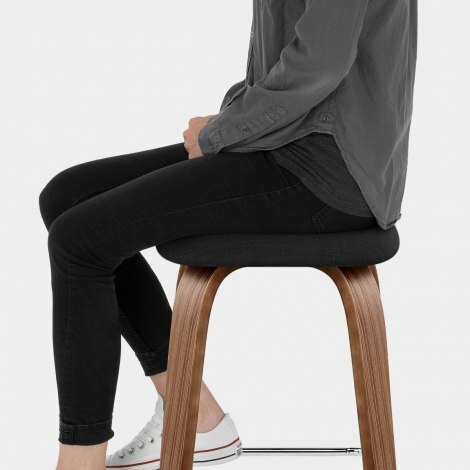 Four shapely modern bentwood legs support the seat, with a rich walnut finish and a chrome footrest for a contemporary touch. For even better practicality, protective plugs are included to help prevent damage to your floors. "Looks good and excellent customer service"
Would recommend these 100% comfy and very light to move around if needed. Great, quality product and easily ordered. Delivery was prompt. Very pleased with the stools. Easy to assemble, comfortable and a good size for us. Arrived quickly. All good so far. 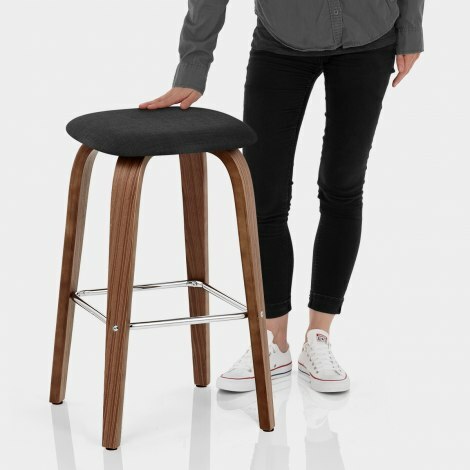 Would recommend as a great kitchen counter stool, good height, comfortable and great look! Arrived in good time and well packaged. All parts and instructions included. Construction straight forward resulting in s strong and well made product.